The Eagles open their season against the Falcons at home. Eagles single-game tickets go on sale Thursday (at 10 a.m.) and there's little doubt they'll sell out quickly. For those looking to root on the Super Bowl LII champs in person there are some strategies worth considering with regard to when, how and to which games tickets should be purchased. For starters, the prices have increased across the board but remain extremely reasonable — at least when compared to what tickets to a Vikings-Eagles NFC Championship Game rematch will command on secondary markets. Why is this the best purchase? On the surface, the prospect of seeing the likely lowly Colts doesn't exactly excite masses of Eagles fans. But the game is in September so the weather should be decent. The Game is also far enough removed from the start of the season that the likelihood of Carson Wentz being back on the field again is pretty high (he is targeting a Week 1 return but it's ambitious). The Eagles are also likely to win, since it's the Colts. And, the demand for this game will be much lower than a Cowboys or Giants game. It's also a 1 p.m. start on a Sunday, which makes for a relatively easy commute into and out of the city in time for Sunday dinner after the game. From a match ups perspective it can't possibly get any better. Kirk Cousins has had a few big games against the Eagles during his time in Washington but the Birds have the Vikings' number after their "upset" NFC title win back in January. Still warm, in October and in late afternoon as to avoid a sleep-depriving 8:20 p.m. prime time kickoff, the Week 5 game will be the most anticipated of the regular season. The caveat is, this game will sell out fast — as will the season opener on Thursday September 6 against the Falcons. Still, this ticket will be hot on Stubhub so if you can get your hands on them this week during the official on sale do it. Saquan Barkley should be in midseason form by the time the likely improved Giants travel down I-95 for their annual tilt in Philly. Why this game instead of the Week 10 Sunday Night Football bout with Dallas? Well, schedule-wise the Sunday after Thanksgiving is a sweet spot for football. As is the chance to see the No. 2 pick return to his home state. The Giants should be much better in 2018 and for prospective ticket buyers the Dallas game will most assuredly seize more attention. This ticket will be an astronomical buy on secondary markets. 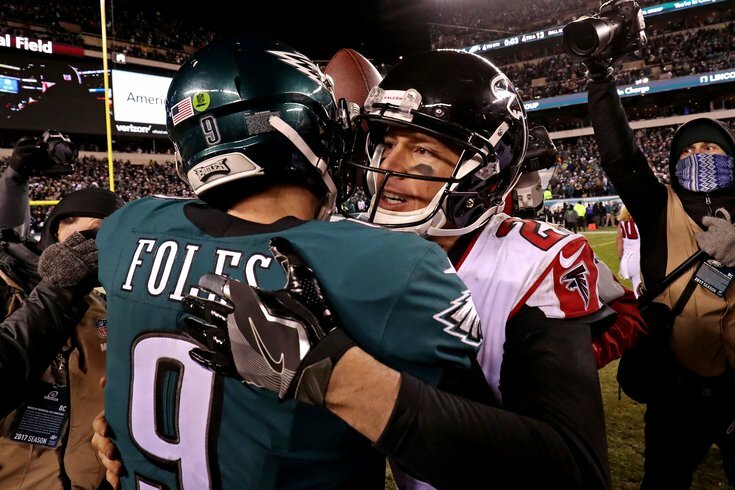 It will be the first chance to see the Eagles play after their Super Bowl win and they'll be rolling out the pomp and circumstance as they raise their first championship banner. Watch this game from home as you set your first fantasy line up. This is the last home game of the year, and in Week 16 it could be meaningless. Which means you can get a cheap ticket in the days leading to the game. The weather also could be uncooperative — and season ticket holders may feel motivated to sell at a low price. Monday night football is the worst. The weather will be cold. The Redskins might not be all that good. This is a game to cuddle up in front of the fireplace and eat hot Cheetos for.